Slag Gallery is committed to present work by emerging artists and to support and sustainably nourish their careers. With this at its’ core, the gallery’s efforts concentrate on local and international exposure of works by artists in its’ roster, by providing the cultural exchange with art institutions and organizations, publishing catalogs, collaborating with other galleries, and participating in Art Fairs. The artists of Slag Gallery have been included in a number of internationally recognized exhibitions, such as the Venice Biennale (2001), the Istanbul Biennale (2011), Prague Biennial (2011), along with shows at museums and institutions such as PS1 in New York; The Drawing Center, NY; Brooklyn Museum, NY; Marina Abramović Institute, San Francisco; Kunsthalle Budapest (Mucsarnok); MODEM Modern and Contemporary Art Center, Debrecen; National Museum of Contemporary Art, Bucharest; MKM Museum Kuppersmühle, Duisburg ; Kultur Fabrik, Luxembourg; Brukental Museum, Sibiu; The Museum of New Art, Detroit; NJMoCA; Herzliya Museum of Contemporary Art, Israel; Queens Museum of Art, NY; Birmingham Museum of Art: Boulder MoCA; the Islip Museum of Art, NY; Marfa Contemporary, TX; Kunsthaus Worms, GE; Kunstverein Viernheim, GE. 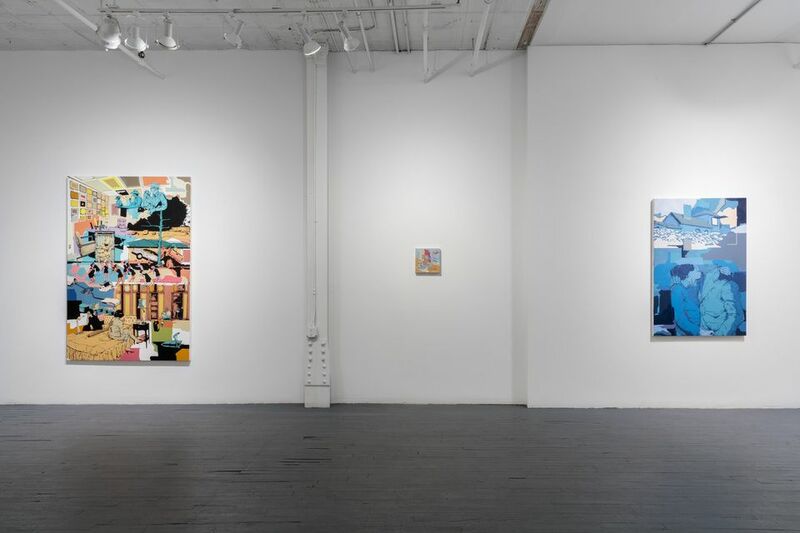 Slag Gallery was inaugurated in June 2008 in Chelsea, NY, and in 2012 the gallery moved to Bushwick.